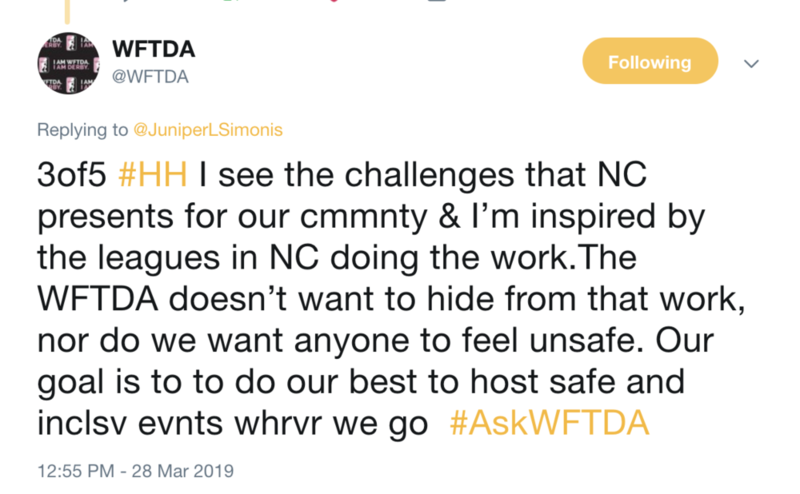 Q: Can WFTDA share more about the decision to choose NC? Q: Will nonbinary people have a safe place to pee at the NC event? How will you guarantee this safety? Q: Were there other options that met bid criteria? Q: Any update on the anti-bullying policies mentioned last time? Q: What are you doing to make derby more inclusive for disabled or neurodiverse members? Q: If someone has punitive sanctions from WFTDA, what stops them from moving to MADE, MRDA or JRDA? Q: Any updates on the member trainings you mentioned last time? 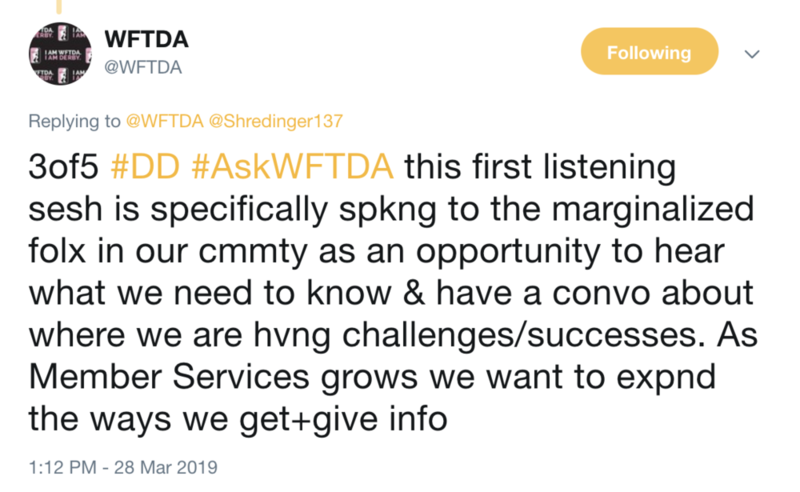 Q: Any plans to increase dialog between WFTDA and members, stakeholders? 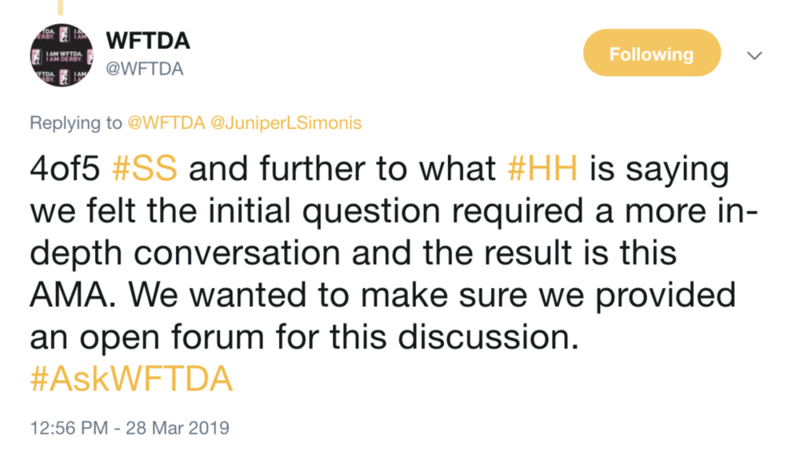 Q: What was up with that mysterious JRDA statement? Thank you to everyone who asked WFTDA questions for this session! And remember, if you have questions or concerns, use your WFTDA reps!